In a move that no consumer really wants, Apple will be ditching the headphone jack in the upcoming iPhone 7 to make the smartphone thinner, at least according to a report from Fast Company that corroborates previous rumors. The report suggests that Apple will force consumers to use the company's proprietary Lightning jack to connect headphones, either through a Lightning-to-3.5mm adapter, or by purchasing new headphones with a Lightning jack. The iPhone 7 also may not come with a pair of Lightning headphones in the box; instead, Apple will sell a pair of noise-cancelling, Lightning-equipped headphones separately. To support the noise-cancelling headphones, Apple is reportedly working with one of its chip partners, Cirrus Logic, to bring the feature to the iPhone 7. The noise-cancelling system will be integrated into both the phone and headphones, and will also use technology from Wolfson Microelectronics. Apple will also allegedly be making the iPhone 7 waterproof, which is a handy feature that's been included in some of the iPhone's Android competitors for years. The company may finally include wireless charging in the new iPhone as well, after toying with the idea for several generations. As for battery life, it's not looking good, despite a previous report that suggested the Plus model's battery capacity would increase by 12 percent. According to the Fast Company report, Apple will be making the iPhone 7 "noticeably thinner", which will hamper the company's ability to add in a larger battery. The iPhone 7 is still many months away, so the information from these reports may turn out not to be true, but it is looking increasingly likely that Apple is once again focusing on form factor above all. drjekelmrhyde, p51d007 and Evernessince like this. At least you won't spend $100 for new headphones. Personally I couldn't care any less, it's not as though I'd ever buy any of their products but if they do decide not to bundle some earplugs in the box then expect to pay +$99 extra for some crappy sounding rebranded Beats earphones/I-Plugs or whatever Apple calls those things these days. Can't see a reason to make the phone any thinner. 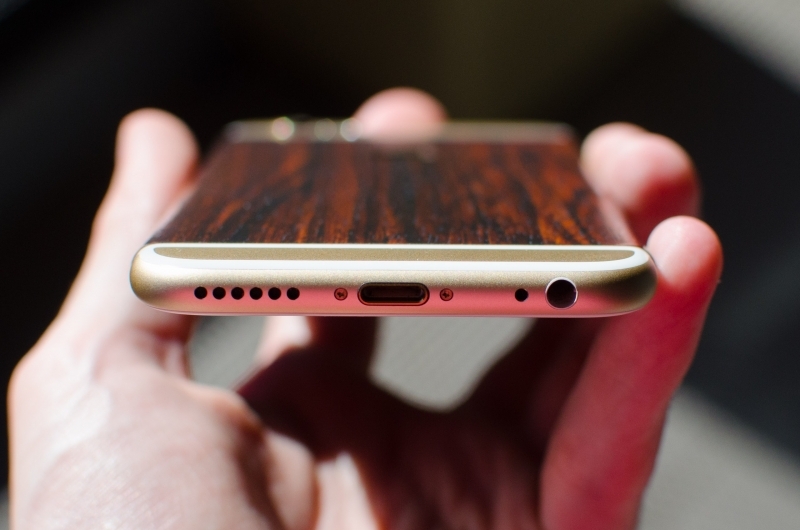 My 6s is already so thin, even including the case, that it can be easy to mishandle. More importantly, a thinner phone will be much easier to bend, something the 6 is already notorious for. iPhone's are more of a fashion brand (hence why they think they can get away with half this crap... and do). There's no good reason why it would need to get any thinner besides looks and advertising it's the thinnest phone yet. drjekelmrhyde and davislane1 like this. and for more "accidental" drops to get those numbers up no matter the cost. It is all about numbers these days. Not sure about all of the techspot readers, but I remember when I first got into smart phone and had a few with proprietary connectors...it was such a pain in the arss. Wanna charge your phone and listen to music?...sorry!! I would never want to switch back! Plus you can't get the quality of headphones that you'd like without paying through the nose. I have wireless charging, 3.5mm headphone jack and my phone is water proof. It cost half the price of iphone and has better parts and build quality. My phone is thinned to the max, any thinner and it would bend. Also no one has reported that the chinese laborers behind my phone was committing suicides. I can install any program I want even if it was not on appstore without rooting. Apple keeps making worse and worse products while rising prices. If any device makes my life difficult, I will just have to move away from it. There's nothing to hate about the green robot anyway. Anyone ever hear of bluetooth??? What do you think will happen with phones move to paper thin? it is happening and is coming. that is how tech is....it moves forward! by going with inferior technology? bluetooth headphones require batteries, and must be recharged. That doesnt happen with wired headphones. Bluetooth isnt the answer to everything. As others have said, batteries and recharging. Batteries die after a period of time. bluetooth has a short range and if everyone were using it you'd have serious problems with the signal. Imagine everyone on a bus or an airport in short range trying to use their speakers, keyboards, ect all at the same time. Are they going to start encrypting your Bluetooth signal as well. Wireless means less secure. Trade-offs you have to consider for something with no benefits. and sell it for 100-200 bucks. That's how crAPPLE works. I see a lot of Apple haters willfully ignoring tons of things Apple actually does do right. 1) Oh really your 8-core phone is stronger? Honestly who cares?! IT'S A ****ING PHONE! 2) Apple fans clearly dont care if they need to buy a proprietary connector. They have money to blow, and they wont mind paying a little extra money for a couple (Sometimes questionable) benifits. 3) Yes Apple values form over function. Why? Please see #1 again. Not to mention the audio quality of bluetooth headphones are mediocre compared to wired headphones. If they don't have a jack then wireless charging will have to be there. I wonder if they will include the wireless charging plate be included in the box. I disagree with #3. Apple values $$$$ that you will all spend for there new lightning adapter. I hear the iPhone 8 will be adding a new port.it will be a new 3.5 mm port that not only you can plug you headphones in but charges it too. but unfortunately you need to buy a lightning to usb-c to bluetooth adapter to 3.5mm to use it thoroughly increasing Apples demand for milking more money for the brainwashed Apple fanatics. Now we will now how the zombie apocalypse will start. (1) Is it a smartphone? If "yes" proceed to (2). (2) Is it a brand you like? If "yes" proceed to (3). If "no" proceed to (4). (3) List all positives and proceed to (5). (4) List all negatives and proceed to (5). (5) Call people who don't agree sheep. I sense the return of the iPod in the offing! You of course will need, an iPhone 7 to connect to your Apple watch, which will then relay your musical selections to the "new improved iPod". ...[ ]...I see a lot of Apple haters willfully ignoring tons of things Apple actually does do right. Which is exactly what again? Refresh my memory. I completely agree. It's your inalienable right to pay more for something which does less, because of the status factor of owning it. And as for the, "it's a blanking phone" nonsense, I think you might be confusing "pride of ownership", with, "hypocrisy", to hide your addiction. Then too, judging by the lines in front of Apple stores for days before the release of a new iPhone, nobody there believes that for a single minute. I can help with that. I'd like to establish a self help NPO called, "Yap Runners Anonymous". It's going to be easier to negotiate than all those other programs like "Alcoholics Anonymous", and so forth. My program only has one step, "Learn to shut your ****ing mouth. And one rule, you can't call anyone else on your smart phone to help you with step one. so you still aren't addressing the issue of how tech moves forward. when WAP enabled phones came out they were all garbage for years. people whine and moaned and complained, but it was a bridge to what we have as today's smartphone offerings. It is what it is.